Blogger has a new look! If you are using blogger then you will notice finally Blogger got new look in April 2012. Last month Google official announced Blogger will get new look in April 2012 and now on 22nd April 2012, Google official get new look for April 2012. 1) Introducing the completely new, streamlined blogging experience that makes it easier for you to find what you need and focus on writing great blog posts. 2) A streamlined post editor. 3) A new dashboard of important stats. Happy blogging ! Keep posting good content. If you are using Google.com on 22nd April 2012 the you will notice a very beautiful Google Doodle is appearing on the Google.com Actually, 22nd April is the "Earth Day". April 22 Earth Day was focused on the United States, an organization launched by Denis Hayes and you can read all details about Earth Day from Wikipedia. Happy Earth Day to all of you. Pinterest is an online pinboard, social media & photo sharing and one of the fastest growing website in the world where users can manage their profiles image, events and many interesting things. Who is Co Founder? and When Pinterest was Launched? Pinterest official launched in March 2010 and founded by Ben Silbermann. With a very short period of time (within 2 years) it got Alexa Rank 48 and from Alexa Rank you can judge the online popularity of Pinterest. According to Wikipedia On August 16, 2011, Time magazine listed Pinterest in its "50 Best Websites of 2011" article and now Pinterest came in the list of top 10 social media websites. With Pinterest, you can promote your website by doing SMO Activity. How to Use Google Analytics Old Interface? Answer is No. Actually from last two three days I noticed there is no option for returning to Google Analytics old interface at Google Analytics Dashboard. Many people are using Google Analytics for tracking their website visitors. Google Analytics New Interface which was official announced 1 year ago in April 2011 had option for returning to Google Analytics Old Interface. See snap shot below. But Now there is not any option for returning to Analytics Old Interface. So, I think now Google Analytics old interface has been completely retired. Try to learn Google Analytics New Interface which is very interesting and user friendly. How to Track Active Visitor on Website? If you have a website and want to know who is browsing your website at real time then best option to know about active visitor on website is to implement Google Analytics. You can track visitor active visitor's locations, medium (organic or paid), keywords, source, page by using "Real-Time (beta)"
How to check Active Visitor on a Website using Google Analytics? For tracking active visitor on website, click on the "Real-Time (beta)". By clicking "Real Time (beta)" you will get active visitor details. See the snap shot below. Hope you will be like this feature of Google Analytics. These days Chhota Bheem, is one of the famous kids show in India. Kids who loves Bheem, Raju Krishna and Chutki do not want to miss any show of Chhota Bheem. 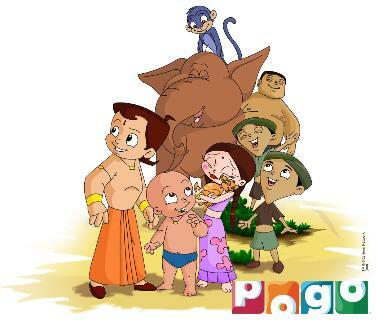 About Chhota Bheem: Chhota Bheem is animated kids program created by Rajiv Chilaka and which is broadcast on Pogo TV. Chhota Bheem is nine year brave kid lives in Dholakpur. Other famous cartoon characters in this show are Krishna, Chutki, Raju, Kalia, Jaggu, Dholu and Bholu, Kichak, Indravarma & Indumati, Daku Mangal Singh, Dhooni Baba, Tun-Tun Mausi, Professor Dhoom Ke Too, Shivani, Pritam. One of my friend is using MS Word 2007 and he want to change the case of text written by him but he could not find the option for changing the case for text in MS Word 2007. If you are also using MS Word 2007 and could not find the option for changing case then you can find the solution here. On the 'Home Tab' of MS Word 2007 you can find the option for changing case. By clicking this You can find the following types. Now, Select your text and apply any of the above case and your will problem will be solved. If you recently purchased a custom domain through Google for blogger (blogspot.com) then you will notice your old blogger URL will not redirect to your new custom domain. So, If you purchased a custom domain through Google for blogspot.com then do not be panic and wait for at least 3 Days (72 hours), Actually your blog is in transition and it may take some time for 301 permanent redirection. Your blog's new address is http://www.yourwebsite.com/. Since it takes time for this new address to be available all over the Internet, you can still get to it at http://yourwebsite.blogspot.com.